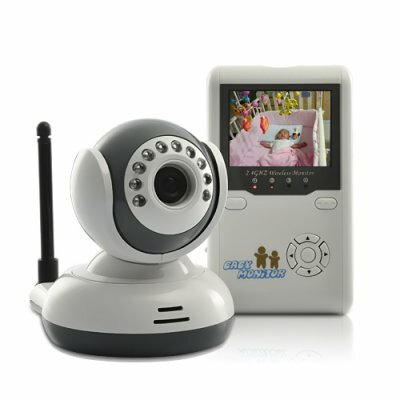 Successfully Added Wireless Baby Monitor with Two Way Audio and Night Vision to your Shopping Cart. If your friends or family have a child, then buy one for them as the perfect gift to show them you care. It is very easy to use and install. Don’t need other software, just place the camera in view of your baby’ area and turn it on. Choose high-quality, friendly price and factory-direct baby monitor here: Chinavasion. Yes, the I61 has 8 infrared lights to guarantee excellent night vision. on 2012-01-05 23:07:29 Best value for money!! Very convinient, high range that covers a 2-floor apartment and easy to use! I would like to have higher volume for receiver and better TV analysis! !